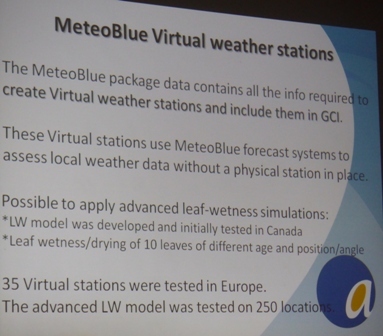 The English Apple Man attended a Seminar this week where advanced local weather forecasting is used to guide growers when the risks of fungicidal infection periods may occur and thresholds for pests reached. 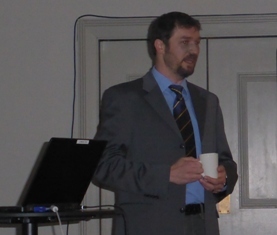 The Annual Agrovista Technical Conference held at The Mercure Hotel at Brands Hatch featured a number of very interesting developments. 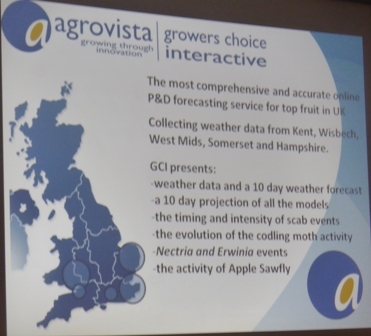 Growers Choice Interactive is a forecasting system developed by Agrovista which involves accurate local weather forecasts linked to RIMPro disease prediction software. The data in an operating GCI system is update hourly and subscription versions automatically contact the grower when thresholds are recorded requiring action; e.g. a spray application for pest or disease. RIMpro contains a proprietary apple scab model. Generally slightly warmer than average , most notably September and December while April and November was slightly cooler than average. 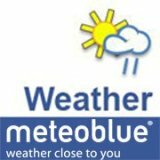 Rainfall was within 10% of the annual average in 'most places' but some wintery storms in in January, February and June meant those months were wetter than the average. Sunshine levels were good! Some instances of thundery summer downpours caused local flash-flooding and some hail showers. Weather patterns influence life cycles of all pest & diseases - GCI predicts their evolution. GCI links weather conditions in a growers locality to the prediction software allowing efficient decision making for application of pest control measures; improving efficacy and reducing cost with minimum impact on the environment. The capability of GCI is continually improved with refinements to the forecasting procedures. 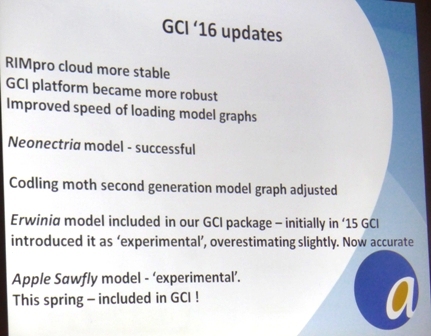 Alex Radu outlined the updated elements within GCI. 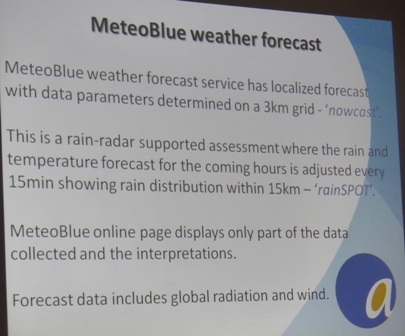 MeteoBlue is a weather forecasting service with the ability to deliver local forecasts on an hourly basis. 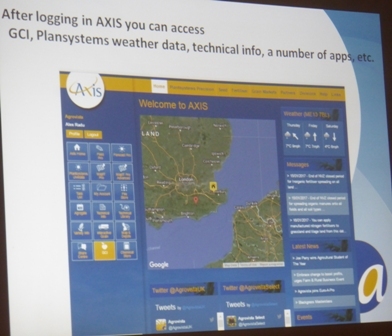 Axis is a new cloud-based technical information exchange system that allows agronomy and precision farming data to be uploaded and shared in real time with advisers, agronomists, operators and contractors giving your business true flexibility and efficiency.